A very successful 2.4mR Irish National Open Championships was held over the weekend. Based on the original America's Cup 12 metre yachts, these Paralympic class racing yachts are perfect for people with disabilities who are thrill seekers to race in a very competitive class. 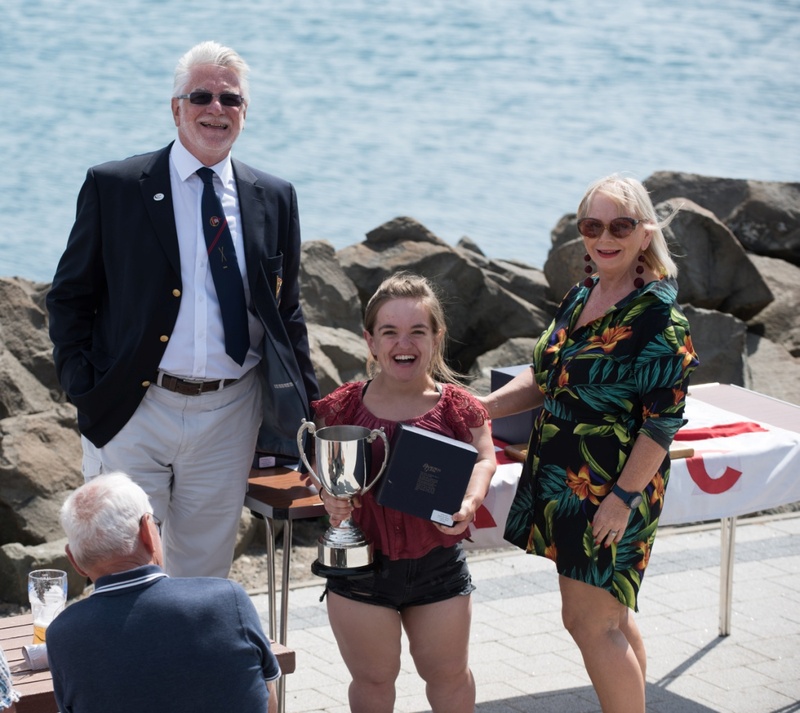 In presenting the prizes, Dave McCabrey, Commodore at Carrickfergus Sailing Club said, ‘Carrickfergus Sailing Club is pleased to host the 2.4 National Championships. Congratulations to all 17 competitors competing in such ideal conditions. Many thanks to all those involved in the organisation and running of the event and for making this such a successful weekend, both on and off the water’. BLS's own volunteer John Patrick is now the Irish Champion, Gina Griffin won the Irish Disabled Sailor trophy, the overall event was won by World Champion Megan Pascoe, in 2nd place was Ulli Libor and 3rd Nev Millard. Jonny Harvey, volunteer at Belfast Lough Sailability (BLS) showed his gratitude to all those at BLS who prepare boats and have supported him on his journey to this race. ‘You’ve no idea how much I for one appreciate the opportunity to be able to sail at this level and the positive effect it has on the wider lifestyle of those of us with disabilities’. Many thanks go to the sponsors, who were ‘Northern Loft Insulation,’ Mid and East Antrim Borough Council and Carrick Marine Projects. Dave McCabrey, Commodore Carrickfergus Sailing Club with Gina Griffen, winner of the Irish Disabled Sailor trophy and Ruth McCabrey, presenting.